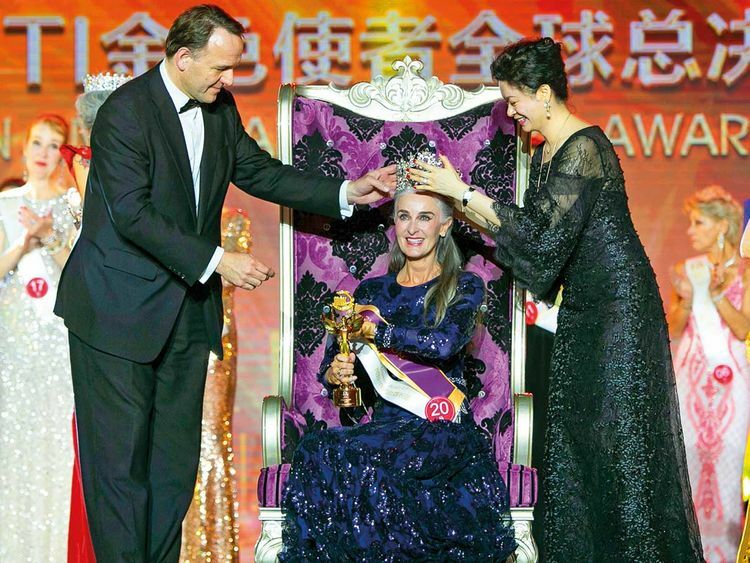 DUBAI: Dubai grey model Caroline Labouchere was crowned the Golden Ambassador at the Miss Tourism International Golden Age beauty pageant held in Beijing last week. The former school receptionist who became a model last year at the age of 54 was representing the UAE at the pageant’s global finals in which 20 countries took part. Labouchere, who wore a navy blue dress by Ingie Paris at the contest, said, “This competition was very last minute and trying to find the right dress was tough. The afternoon before I left, I was offered this fabulously chic dress by Ingie Paris. It made me feel like a queen.” The competition was open to women aged between 50 and 75 years.